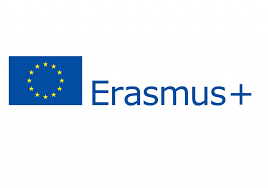 The Erasmus+ Programme is a program of the European Commission which aims to boost skills and employability, as well as modernising Education, Training, and Youth work. The program has been built on the achievements of more than 25 years of European programmes in the fields of education, training and youth, covering both an intra-European as well as an international cooperation dimension. Since its inception in 1987, the Erasmus Programme has seen not only a constant increase in the number of youths and students taking part, but also in the quality and diversity of the activities proposed. Erasmus mobility, with its core focus on skills development, is a central element of the European Commission’s strategy to combat youth unemployment, featuring prominently in the Europe 2020 strategy for growth and jobs. Each year hundreds thousands student go to another European country to study or train. Statistics indicate continual growth of the number of students, young people, youth workers or academics who benefit from the program. Strategic Partnerships – aimed to develop initiatives addressing one or more fields of education training and youth and promote innovation, exchange of experience and know-how between different types of organisations involved in education, training and youth or in other relevant fields. Certain mobility activities are supported in so far as they contribute to the objectives of the project. Capacity Building in the field of youth – supporting cooperation with Partner Countries in the fields of higher education and youth. Capacity-building projects aim to support organisations/institutions and systems in their modernization and internationalization process. Structured Dialogue: meetings between young people and decision-makers in the field of youth – promotes the active participation of young people in democratic life and fosters debate around topics centered on the themes and priorities set by the Structured Dialogue and the renewed political framework in the youth field. Erasmus+ aims at becoming a more effective instrument to address the real needs in terms of human and social capital development in Europe and beyond. 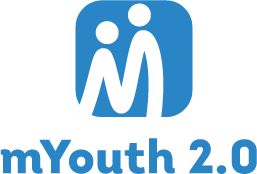 Therefore, here we are – mYouth 2.0 is supported thanks to the Erasmus+ project, and will help in bridging 13 countries from three different continents to push boundaries and rise to new challenges of the mLearning educational model, for the future of education and employment.